Uche Ikpeazu misses the chance to put Hearts 3-1 up from the spot. 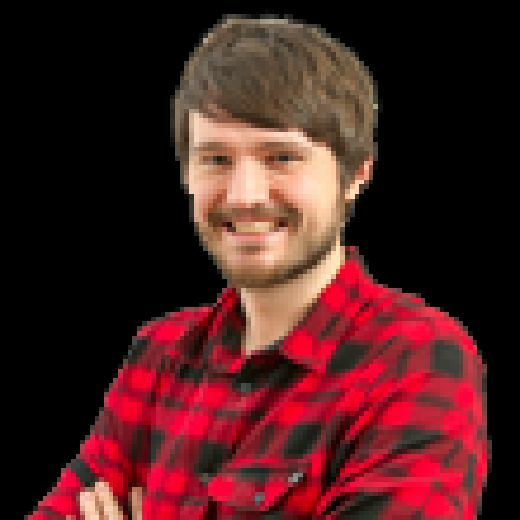 Analysis from Tynecastle as Hearts make it into the semi-finals of the Scottish Cup following a tight 2-1 win over Partick Thistle. It's hard to know where Hearts would be without the hulking attacker. Wait, that's not true. We know exactly where they'd be and it's not in the semi-finals of the Scottish Cup. 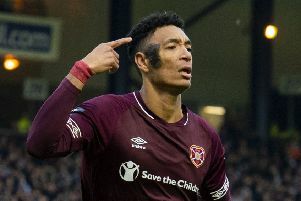 Pretty much every threatening attack that Hearts enjoyed on what was a fretful and horrendously cold and wet night at Tynecastle went through Uche Ikpeazu. His goal on 24 minutes came at such a crucial juncture in the game. Having started poorly and gone a goal down, boos were already ringing in the ears of the Hearts players. His turn and finish into the bottom corner not only ended his goal drought - which stretched back to August, partly thanks to a four-month injury absence - it also gave everyone in the home ranks the lift required to go on and win the game. Ikpeazu had the chance to put the game beyond doubt at 2-1 from the penalty spot after he'd turned a Partick Thistle defender for what felt like the 100th time and won a foul, this time from Steven Anderson. Manager Craig Levein would later reveal that the striker was granted permission to take a penalty if he won it. Sean Clare was on penalty duties otherwise and had already tucked one away confidently after Jake Mulraney had been brought down by Conor Hazard in the first half. He certainly appeared to be hovering around the spot as Ikpeazu retrieved the ball before giving his team-mate his blessing. In hindsight, Clare should've been encouraged to double his advantage on the night. Perhaps that would have saved the home fans from a nervy last five minutes. Though the starting XI initially appeared to be a 4-4-2 with one wide midfielder tucked in, Levein instead opted for a 4-3-3 formation with Arnaud Djoum, Olly Lee and Clare in the central midfield three. Lee was the most advanced of the trio, Clare occupied the box-to-box role while Djoum was the deepest member. Though the latter two were solid enough on the evening, Djoum especially, it didn't really work as a trio. Thistle gobbled up a lot of the second balls in the midfield with Stuart Bannigan particularly active in keeping the Championship side competitive in an area where they hadn't been in the first leg.